The RBT-5 is a gift Rank I Soviet light tank with a battle rating of 1.3. It was available as a prize during the 2016 "Thunder League" eSports tournament as a giveaway prize for watching the Twitch stream, later every Dog-Tag owner who voted for Team Dislike earned one due to the "Champion" prize. It is a regular BT-5 with the mounts to hold two 250 kg TT-250 torpedoes modified as rockets. The large calibre rockets prove hard to aim, but a real dealer to anything it hits. Do remember - the RBT-5's two rockets are quite apart from each other, and that should be taken into account when aiming. The first rocket to be fired is the right one. Rocket mounts provide additional spaced armour of 15 mm on the turret sides. Best tactics is probably however to not charge right into the combat, but wait a while how the battle develops - observe where and how many enemy tanks go, maybe fire a few shots from the distance. Use your great mobility to get to the best positions. And then use its awesome speed to charge at lonely opponents, which at close range have no chance of keeping their guns pointed at you. Keep in mind that charging into more than 1 opponent is usually a quick end, as it is very hard to not get hit from either of them at the same time. 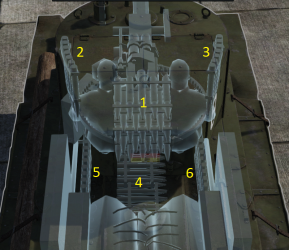 There is no armour on BT-5 to stop anything other than machinegun fire. Finally, try to avoid AA vehicles, as they will have no problem targeting and destroying you, even from the distance. 45mm 20-K gun offers great penetration. 20-K gun offers a good rate of fire. Very vulnerable to quick-firing automatic cannons like the German 20mm cannons or the TShN. The BT, or Bystrokhodny tank, was the forerunner to the T-34. The tank's name translates to "high-speed tank" and it lived up to that expectation. The BT series of tank's origin lays with an American Racing enthusiast named Walter Christie, also a prolific automotive designer. When the U.S. Army Ordnance Bureau repeatedly declined to produce Christie's designs, he becomes so frustrated with them for turning their interests away from a tracked vehicle able to go 60 miles per hour, so he turned to other countries such as Great Britain, Poland, and the Soviet Union. The Soviet's were eager to purchase his designs and were able to receive two M1931 turret-less examples that were labeled as "agricultural tractors", as well as the license to build more of their own variants. The Soviets quickly produced working prototypes of Christie's tanks and made various changes and improvements at the KhPZ factory in Kharkov. The development of the Christie suspension on the tank would become the BT-2 light tank. Further development would improve the BT-2 design as the BT-5, released sometime in 1935. The Christie design was based on the concept of "convertible tanks" which was to reduce the wear of tank tracks as they were quite unreliable at the time. The tracks could be removed and instead the vehicle would run on a chain drive to allow the tank to reach high-speed on roads with just the wheels that could be steered by pivoting the front road wheels. The conversion took about 30 minutes to complete. The Soviets saw the "convertible tank" feature of the Christie design to be of little use due to the lack of paved road in the Soviet Union, which was necessary for the use of the wheel conversion. The conversion also added unnecessary complexity and weight, so this was removed from later Soviet tank designs. 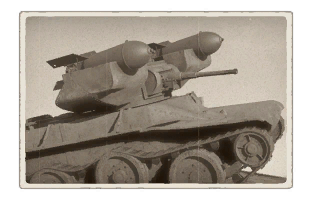 The primary changes from the BT-2 to the BT-5 was its new larger cylindrical shaped turret and more powerful 45 mm 20-K cannon. The new turret was capable of housing radio equipment and gave crew more freedom to move around. The BT-5 was slightly heavier then the BT-2, but the armour was left unchanged. The 12 cylinder M5 power-plant that was based off an American Liberty aircraft engine that was adapted for use with the BT series. It allowed the tank to travel up to impressive speeds. Several variants of the BT-5 were constructed that included features such as flamethrowers, 76.2mm cannon, and a snorkel to aid in fording waterways. Projects in extending the BT's role in other jobs also took place, such as the RBT-5, which is a rocket launcher artillery variant that mounts two large 420 mm tank torpedoes on the turret, but this did not past prototypes. During its development, it was also slowly replaced by the improved BT-7 model being produced form 1935 onward. A reported 1,884 BT-5 light tanks were produced from 1932 to 1941. The BT tanks were meant to be a cavalry tank, and at the time of their introduction they were considered some of the finest tanks against other countries' tanks. They had great mobility of all available tanks, and its 45 mm gun could perform very well in combat. The only drawbacks of the design was its light armour and its gasoline engine, which caused the design to be rather flammable to improvised incendiary weapons. The BT-5's most notable combat service came against the Japanese at Khalkhin Gol. The tactics of Soviet Marshal Georgi Zhukov and the performance of his BT-5 and BT-7 tanks led to a decisive victory. It was during this battle that the BT tendency to catch fire was found, but its performance was positive against the inferior Japanese armoured forces. During the Spanish civil war, a force of BT-5s fought with the Republican forces and performed quite well against its inferior German and Italian opponents, whom deployed lightly armoured tanks with machine guns as their armament. With the outbreak of World War II, the BT-5 was deployed against Poland and aided in the defense of Russia from the invading German army in Operation Barbarossa, though was of little use against the better German Panzer IIIs and Panzer IVs. The BT-5 saw service through to the end of the war, where it participated alongside BT-7s and more modern Soviet tanks against Japanese-controlled Manchuria in August 1945. "RBT-5 Unique Premium Test drive!" 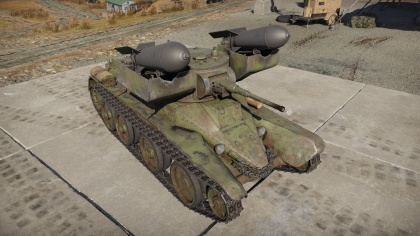 "War Thunder RBT-5 on his game"
The RBT-5 was available as a prize during the 2016 "Thunder League" eSports tournament as a giveaway prize for watching the Twitch stream, later every Dog-Tag owner who voted for Team Dislike earned one due to the "Champion" prize. It is also available through the digital store for individual sale or through the 'Project-X' trophy.